Don’t be so focused on just one of these factors that you aren’t able to lead successfully. Be a leader who is enjoying today while looking toward the future. This can be done by maintaining a balance between being focused on today and tomorrow. Leader’s have a tendency like Tony mentioned to be so focused on the future they don’t enjoy getting there. This might be because a lot of leaders are programmed to be future driven and be striving for something greater. But don’t allow that to happen to you. Maintain a balance of both the present and future. Be a leader who is present and future focused. Do you spend too much time on one of these areas? 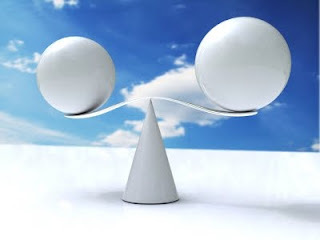 Do you have a balanced between the present and future?